Some medications used to treat rheumatoid arthritis, lupus, gout, and other rheumatologic conditions must be administered through an intravenous infusion. Amer Al-Khoudari, MD, FACR, at Arizona Arthritis Clinic, PLLC, offers in-house infusion services so that you can get the medication you need in the comfort and convenience of the office. If you need infusion therapy and would like to schedule an appointment, call the office in Chandler, Arizona, or use the online booking feature. Infusion refers to introducing fluid directly into a vein. When a medication is administered intravenously, it’s called infusion therapy. Chemotherapy is one of the best-known examples of infusion therapy, but the most common use is to treat dehydration. Infusion is also used to deliver antibiotics, vitamins, antiviral medications, and several medications used to treat rheumatologic conditions. What rheumatologic health conditions are treated with infusions? Infusion therapy is often better for you because the dose is delivered directly into your bloodstream. However, some drugs must be administered via infusion, especially biologics that directly target your immune system. What types of medications are administered during infusion therapy? What happens during infusion therapy? In the days leading up to your infusion appointment, drink plenty of water. Being well-hydrated makes it easier to find a good vein. Talk to your doctor at Arizona Arthritis Clinic if you’re anxious about infusion therapy or you have a fear of needles. They can walk you through the process so you’ll know what to expect. You may also decide to use a topical anesthetic. You’ll be carefully monitored throughout your infusion session, so there’s always someone there to answer questions and help you. 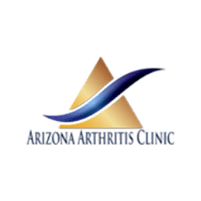 If you need infusion therapy, call Arizona Arthritis Clinic or schedule an appointment online.